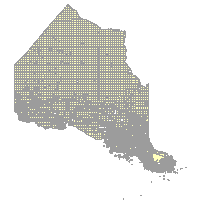 Data set contains polygons of unpatented lands - lands that have never been granted or sold by the Crown. May include lands that have been temporarily disposed of (leases, land use permits). Intended to map and report on unpatented Crown land in Ontario. LT3 Ontario Tenure data: Land Tenure Project data; Data compiled from various data sets, including Ontario Parcel Assessment and Crown parcel layers, FIM data, NRVIS Land Ownership data, District tenure layers.